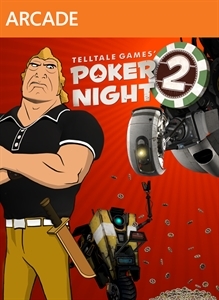 Episode two of a five-part series set in Robert Kirkman/'/s award-winning universe. Three months after the events of episode one, starvation forces the group to seek food from strangers. In a world where the living can be more dangerous than the undead, this is a risky move, but you’ll soon learn how far you/'/ll go to survive. How will the choices..
400 Days is the new DLC for Season One of The Walking Dead that serves up five new characters for you to navigate through the end of the world. .. Captured, bloody and beaten; Clementine and her group learn what it’s like to live under the heel of a leader whose intelligence is rivaled only by his propensity for brutal violence. With escape being a priority, Clem is forced to make hard-hitting decisions in this episode. 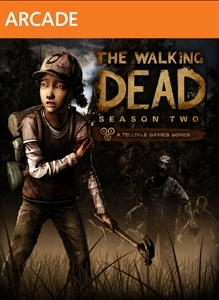 If you own The Walking Dead: Season Two – Season Pass, DO NOT purchase th..
Game of Thrones is a six part episodic game series set in the world of HBO/'/s groundbreaking TV show. This new story tells of House Forrester, a noble family from the north of Westeros, loyal to the Starks of Winterfell. Caught up in the events surrounding the War of the Five Kings, they are thrown into a maelstrom of bloody warfare, revenge, intr.. Enter the fractured psyche of Bruce Wayne and discover the powerful and far-reaching consequences of your choices as the Dark Knight. 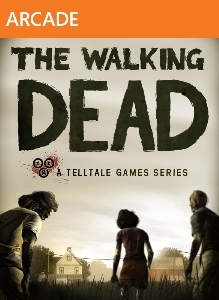 In this gritty and violent new story from the award-winning creators of The Walking Dead – A Telltale Games Series, you/'/ll make discoveries that will shatter Bruce Wayne/'/s world, and the already fragile stability..